The new colorway gets a release date. 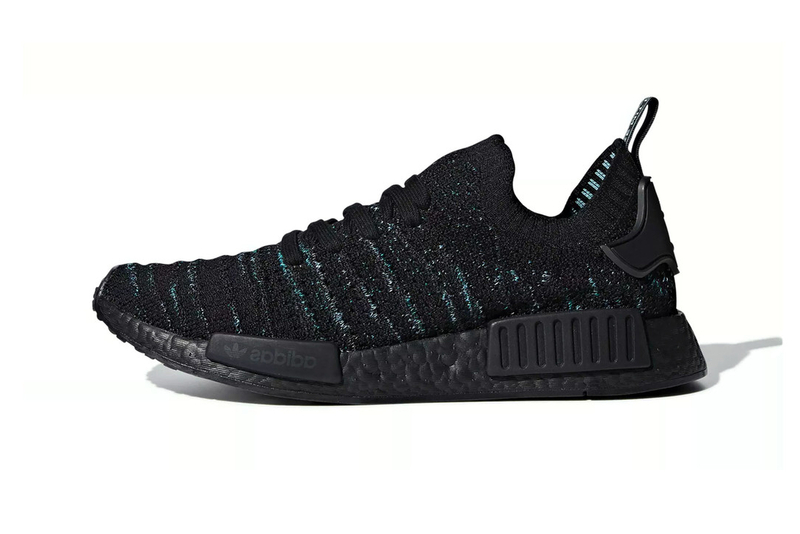 Parley for the Oceans and adidas continue their longstanding partnership with the latest NMD_R1 colorway in “Core Black/Blue Spirit.” In line with all Parley sneakers, this new model is made of recycled plastics and features a predominantly black Primeknit upper with streaks of “Blue Spirit” and “EQT Green” weaved throughout the ribbed textile. The sock-like upper is rounded out by black laces, heel clips, stabilizers and a black full-length BOOST midsole to keep with the tonal look. The Parley x adidas NMD_R1 Primeknit “Core Black/Blue Spirit” is slated to release on November 7 for $140 USD at adidas’s web store and select Three Stripes retailers. Let us know if you’re a fan of this colorway in the comments below and for more new sneakers, check out Nike’s new multicolor Mamba Rage. Kodak Black Follows Up "Zeze" With Emotional Cut, "Calling My Spirit"
adidas Temper Run Arrives in "Light Brown/Grey Six-Core Black"